Sports for the Urban Canine: Place! This one is easy as long as you start with objects that are big enough for the dog and low enough to easily get on. 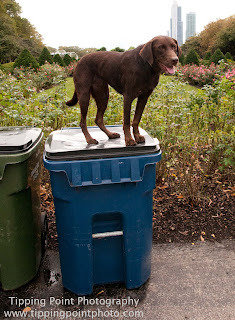 When you have found an object that meets this criteria encourage your dog to jump up onto it. Reward the dog, step back a step or two, then return and reward. If your dog jumps down with out being released, simply get him back onto it. This is the only correction the dog will receive. When the dog realizes that you will keep putting him back up there and will only be rewarded for staying there, he will try to jump off less and less. You can slowly increase the height of the object that you ask your dog to jump on and decrease the size of the landing zone. This is a huge trust behavior and requires a lot of confidence in the dog. 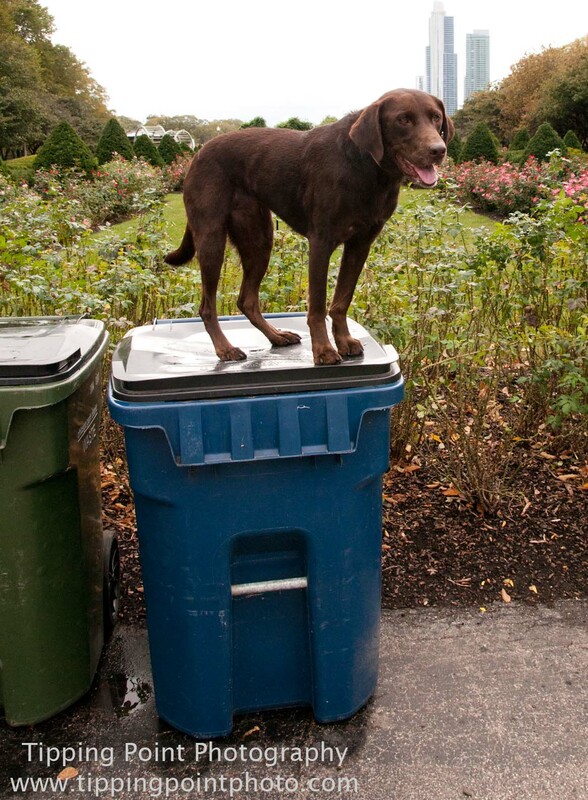 Get creative with the objects you ask your dog to jump up on! They make great photo opportunities.